The best transport system for a kayak is one that you will be able to lift your kayak on (by yourself or with help) and the one that will transport your kayak safely. If those two conditions can't be achieved, then the rack that you are considering will not be the one that is best for you. Pros: Foam saddles are inexpensive, easy to install, can be used in multiple ways, can fit almost situations and are not permanent. Cons: Foam saddles should only be used for short trips and easy driving conditions. There are many types of roof rack systems available: saddles, J cradles, rollers, stacker plus many more. Each particular rack system has advantages and disadvantages associated with each type. The most important element is how high do you have to lift on/off the kayak to use each type of roof rack and how many kayaks are going to be carried at one time on your car? Ask the salesperson for a demonstration (if available). VERY IMPORTANT: Based on the type of car, the length of the rack bar and the width of the car, certain roof rack systems will not fit your car because of where/how the rack needs to be attached on your car. The left and right side of the rack systems might have to straddle the permanent car rack system that came with your car and the distance between the left and right side might have enough room. Make sure the rack system will transport the kayaks safely. Be sure you can return the rack system if you find out that this will occur. 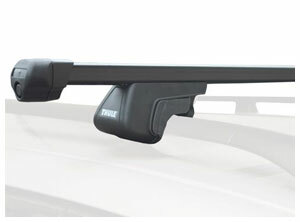 All the roof rack systems attach to the two roof bars that go across the top of the car. Once you've made a decision on which manufacturer's system to purchase, all mounts have to be purchased from that manufacturer (kayak, bikes, skis, etc.). Make sure the bar is the correct length size to accommodate your needs. You might have to purchase an oversized bar due to the size of your car. The rack foot is the rack piece that attaches to the end of each bar and also attaches to the car (screw, clamp or with other methods). You will need 4 rack foots. There are specific foots that fit each car. If you sell your car and purchase a new car, you probably will have to purchase 4 new rack foots, too. Sometimes you only have to purchase a new locking system that will fit into the foot instead of having to purchase all new 4 rack foots. Ask the salesperson about the flexibility of the rack that you are considering purchasing. The easiest straps to use are nylon straps that have a self-locking buckle. They provide a strong grip on the kayak and are easy to cinch down into place. Make sure you do not tighten the buckle too tight as you might crack a glass hull kayak. Also make sure that the straps do not go over any less protected areas of the kayak. Incorrect kayak transport methods might damage your kayak so be extremely careful when loading and unloading your kayak from the car.